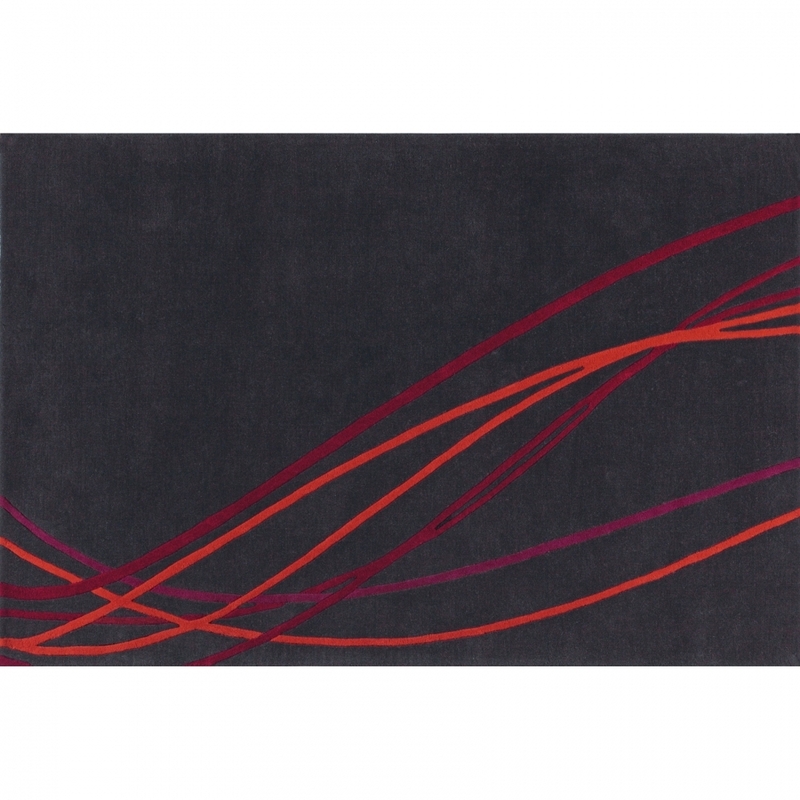 Modern, simple and effective rug in dark anthracite with a shock of red strands winding across one side. Hand Tufted in 100% Wool. Other sizes available, please contact us for details.